We have been servicing electric garage door Baytown systems for a long time. So, you can count on our experience when the opener is acting up or need to replace the entire door. At our local company, we provide full services. Our expert team here at Garage Door Repair Baytown TX is responsive and up to date with any innovative electric operator. Aware of the repercussions of faulty electric garage systems, our techs come quickly to replace parts, fix problems, and do any requested job. What makes your Baytown electric garage door so special is the opener. Without it, the door won’t move automatically. But if there are any complications with the opener, your safety will be questioned too. Due to such serious effects, our techs respond quickly to do any required electric garage door repair. 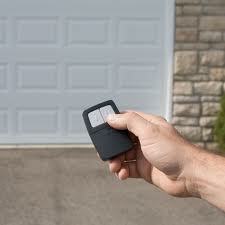 Apart from electric garage door opener repair and installation services, we also fix other parts. Broken springs? Frayed cables? Bent tracks? Name the problem and we can take care of it. The opener might be the main source of electric power and thus a fundamental component. But the springs, tracks, pulleys, cables, and many more parts also play a vital role to the door’s performance. For this reason, we do any repair work necessary in a timely fashion. We also offer electric garage door installation in Baytown, Texas, and make sure both the new door and its opener are installed correctly. Our techs give gravity to the security and safety opener features but also the tension of the springs and the alignment of the tracks. We can provide you with the new door and opener, help you find the products you are looking for, and guarantee expert installation service. Give us a call if you want to service or install an electric garage door in Baytown. Our staff will be glad to be of assistance.